Comments: Robert Clayton Smith (Nee: ) | Atlantic City NJ US | | Comments: About 1924- postcard type souvenir photo. Unknown woman, young girl her name probably Adele, Robert Clayton Smith. 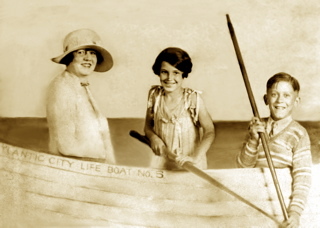 c1940s 3 in a "row boat"